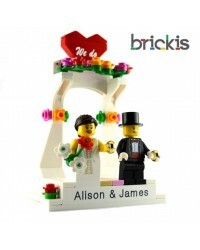 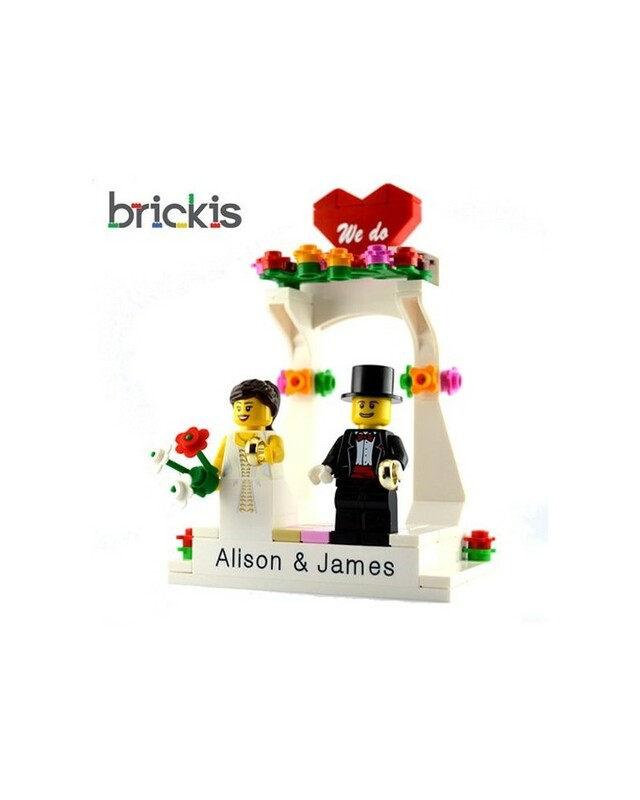 Personalized LEGO® minifigures - caketopper to place on the wedding cake. 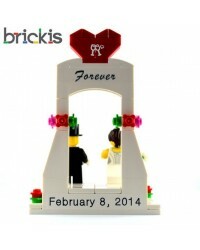 We can personalize it for you with the bride's name, groom's name and wedding date. 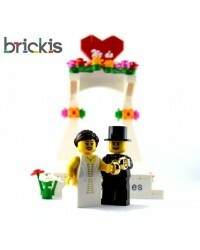 Everything you see on the photo is included. 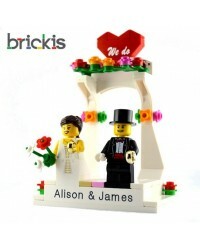 Engraved personalized LEGO® minifigures and caketopper, beautiful gift for the wedding.